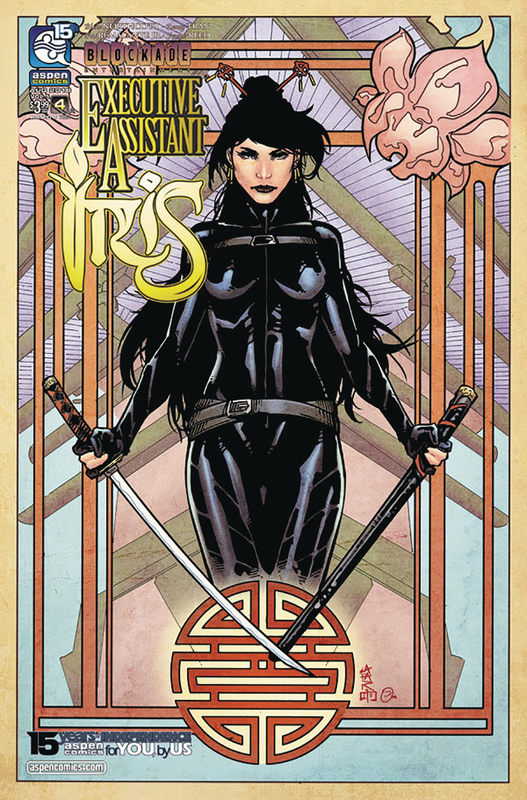 The fifth volume of Aspen Comics' hit action-adventure assassin series continues! After a chaotic assignment leaves innocent people dead, Iris and Mack attempt to terminate their contracts, but a bombshell discovery leaves them two options: continue to be puppets of the murderous Magni Global Security, or declare war on the most powerful-and deadliest--corporation on Earth! Brought to you by acclaimed author Blake Northcott (Michael Turner's Fathom) with art by newcomer Donny Tran and colorist Omi Remalante Jr., this newest pulse-pounding 10 year anniversary chapter of Executive Assistant: Iris is sure to be the greatest volume yet!